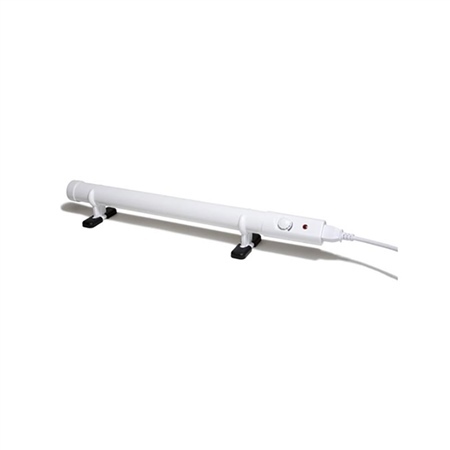 These low power, slimline 240v tube heaters with energy saving thermostat can be left on in your boat in order to create good air circulation in enclosed spaces and assist with preventing condensation and dampness. They can be fitted using the brackets provided, either by way of wall mounting or on the floor. The cable is 1.5 metre long and has a UK plug. Other features - IP44 rated for water resistance. - CE certified and BS EN 60335/1:2002 compliant Available in 3 sizes; 0.5mtr, 1mtr and 1.5mtr. This is just what I wanted I can use it in my potting shed or move it to wherever I need it. First class service I will continue to use Gael force. The first unit I got was faulty but Gaelforce replaced it quickly and the new unit works well and is very cheap to run.